Andrea's World Reviews: Skoy Cloth Blogiversary GIVEAWAY!! I know you are all loving The Rosy Snail's Blogiversary Event and all her awesome giveaways, and so am I. The latest addition is a product that I have been dying to try. Skoy Cloth. These cloths are supposed to be incredible AND environmentally friendly. You can't beat that. I know how badly I would love to win this, so I had to share the chance with all of you. Read Alison's awesome review and enter to win below. Good luck. Maybe I’m not helping feed the hungry, which would be my #1 goal if I ever became an activist and really did all I could to help make the world a better place, but with Skoy (and a few other brands we’ll be visiting during this event), I’m doing my part to reduce my waste. 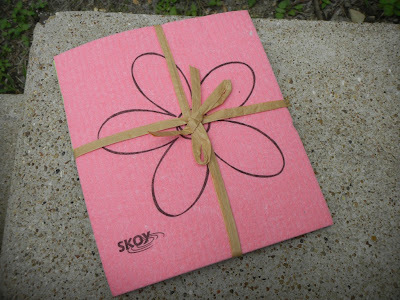 The Skoy Cloth is an amazing, reusable, washable mashup between a paper towel and a sponge. It’s sturdy, durable and easily takes the place of two products. My family has been using Skoy Cloths for nearly a year now and I couldn’t go back to paper towels and crumbling sponges if I wanted to! One Skoy Cloth replaced upto 15 rolls of paper towel and once you are finished with your Skoy Cloth, it will break down in only 5 weeks in the landfill. That makes Skoy Cloths a good idea for your home, budget and the planet. 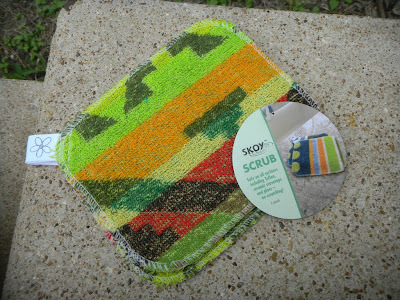 More recently added to the Skoy line is the Skoy Scrub. This scrubber is made to outlast your traditional scrubber and is made with a non-toxic scrubber. These scrubbing pads come in fun, bright designs and are safe on most surfaces. I tend to use mine in the kitchen, but these would work well on the floor, in the bathroom or even in a workshop. Like the “cloth” counterparts, I find that these are easy to wash should I use them to tackle a job that leaves them a little messy! To help me keep all my Skoy products organized and out of the way (and to allow them to easily drip dry) I enlisted the help of the Skoy Rail. Even though this won’t help me reduce waste or clean my home, this product is just as genius as the other two! With two super strong magnets (where the black tabs are) you can clip this to the side of any sink. I also found that you could put this on the door of a cabinet! 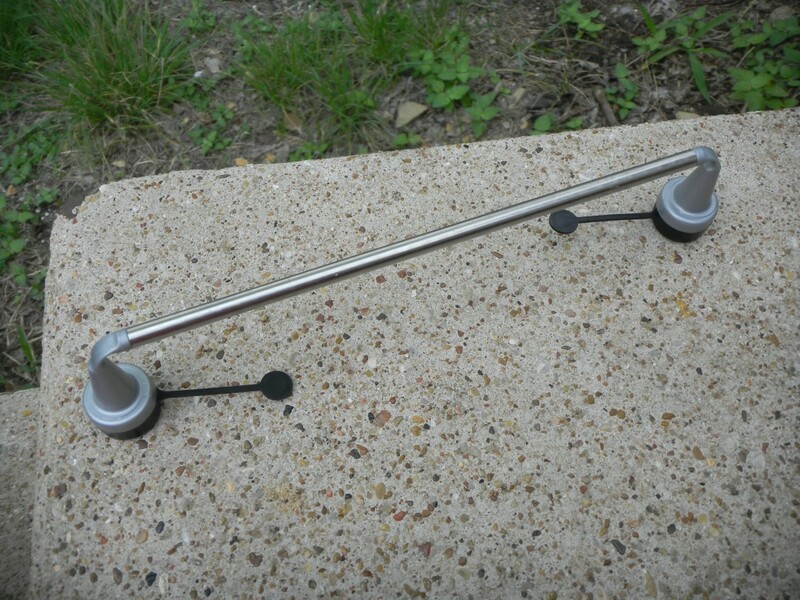 Essentially, you can add a rail wherever is most convenient to you! It’s adorable and gets a ton of use! I couldn’t keep my sink in line without this handy product!